The esteemed panel of judges (aka me), after much deliberation, decided number seven in 2014’s top ten was a tie. The first picture is from Key West, Florida. 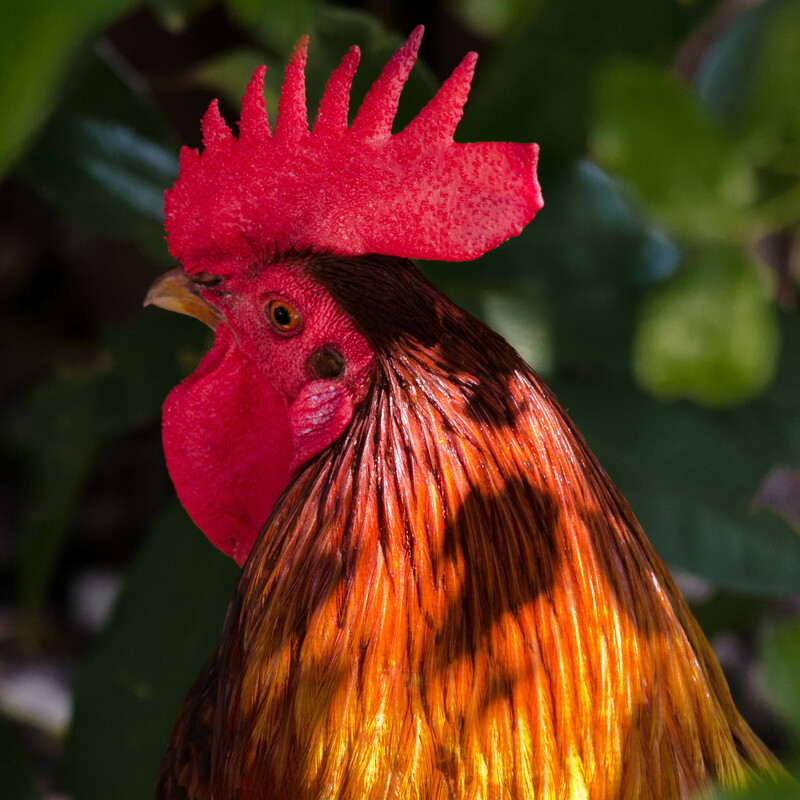 Chickens are allowed to roam freely throughout the island and dawn-confused roosters crow all day long. It took me a while to find this very frequent disturber of the peace and a lot of patience to wait for a good shot because the rooster liked the shadows. 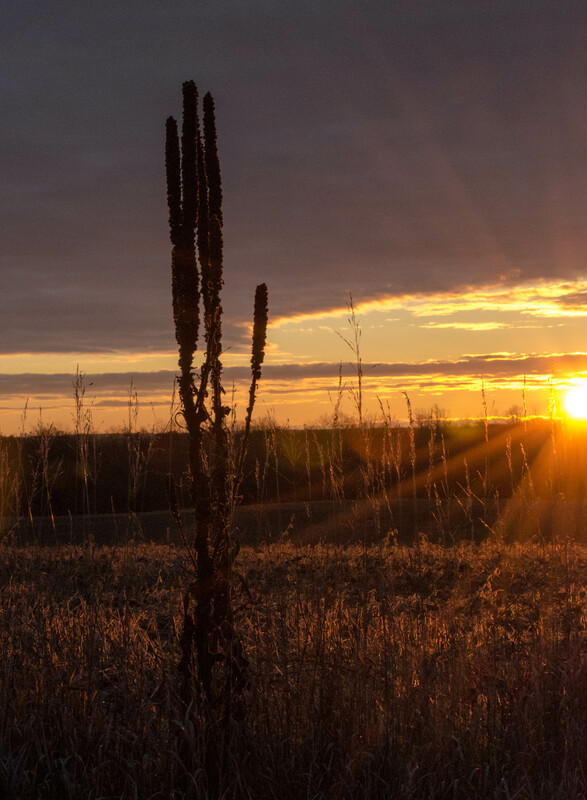 The second #7 was taken during an early morning sunrise in a field not too far from home. I like the colors of this image and the defiant weed that had not yet succumbed to the beatdown of winds, snow, and sub-freezing cold.